B Side Mikey / Kantation – Radio for the People, by the People. 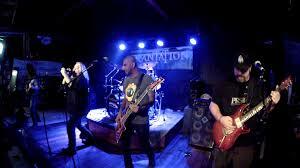 Tonight on the B Side Mikey Show we’ll bring some tracks from a Southern California based band Kantation. Martin DeBourge front man in the band will join us by phone to discuss what’s what in the Metal Scene & his presence via Kosher Metal Radio! Outstanding night from 8-10pm (PST) in Studio 1A. Call in to be part of at 415-829-2980. “Bart Man” & I appreciate each and everyone of you week after week for you support, comments, and crazy shouts outs on Facebook, B Side Mikey! \m/\m/ >>> Download the App Tune In Radio to phone & listen live, or Download the Podcast if you’re out and about!